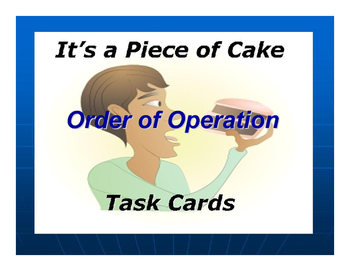 Challenge your students to demonstrate their ability to perform mathematical computations by applying “order of operation” strategies. 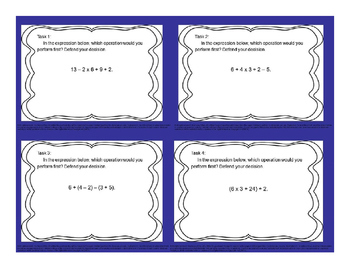 This packet contains 60 task cards to keep your early finishers busy. These may also be used to begin class or to start a class discussion. 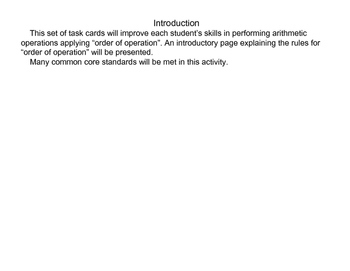 This packet will meet many common core standards that include 4.OA.A.1, 5.OA.A.1 and 5.OA.A.2. Working with fractions, decimals, and percents. Teaching Your Students to Think Critically & Problem Solve. Freebie. The Complete Everyday Life Skills Series. Math in Action Series Book 2. How Fast Can a Cheetah Run? 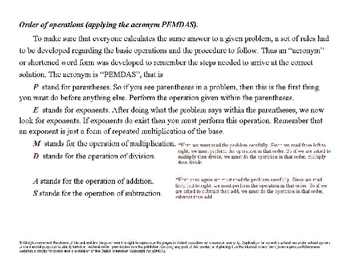 part of the Math in Action Series Book2. The Basics of Algebra Theory: From Variable to Graphing in Power Point. The Basics of Algebra Theory: From Variable to Graphing in PPT.